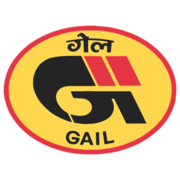 GAIL Recruitment 2019 - Apply Online for 27 Executive Trainee Posts in GAIL, Across India. Online Applications are invited by Gas Authority of India Limited (GAIL) from 12 Feb 2019 11:00 AM to 13 Mar 2019 till 06:00 PM for 27 vacancies. 15 Bachelor Degree in Engineering in Chemical/ Petrochemical/ Chemical Technology/ Petrochemical Technology with minimum 65% Marks. 12 Bachelor Degree in Engineering in Instrumentation/ Instrumentation & Control/ Electronics & Instrumentation/ Electrical & Instrumentation/ Electronics/ Electrical & Electronics with minimum 65% Marks. Eligible candidates may apply online at GAIL's website (direct link is given below) from 12 Feb 2019 11:00 AM to 13 Mar 2019 06:00 PM. Candidates log on to https://gailebank.gail.co.in/Online_Recruit/career.asp. Read the information carefully & Select the desired post & Click on "Click here".